FOR years, the name Mary Ann Castro had been linked to controversies. Kun sa drama pa sa radyo, ang maong pangalan gikaluhaan na og mga kontrobersiya. Mary Ann’s private and professional lives were a roller coaster. There were ups and downs but against all odds, the former prosecutor overcame all the trials. Castro, who was last assigned in Masbate, was shot dead by an unidentified gunman the other night along Escario St. She was driving her Nissan Juke when the gunman pumped bullets at the driver’s side of the vehicle. Mary Ann was hit in the head and various parts of her body. She died on the spot. Reports said she was from the Ayala Mall having dinner with friends and was driving home to Talisay City. Castro was involved in a “much-publicized romance” with Zandro Agusto, a cellular technician. International boxing judge and radioman Edward Ligas exposed the romance after Agusto’s wife, Cherry, caught them in a motel. Ligas and Castro were at loggerheads because of a pending case. Castro’s previous marriage with Rocky Roa was already annulled then. A few months later, Cherry died with her policeman “lover” in the latter’s alleged suicide. Two years ago, Castro married Greco Sanchez, son of the late vice governor Greg Sanchez, in Muslim rites. They later quarreled and separated following a conflict on the division of their conjugal properties. Greco’s sister, former Provincial Board member Gigi Sanchez was strongly against their union. Greco, a known drug dependent, is presently detained at the Cebu Provincial Detention and Rehabilitation Center on drug charges. As for her professional life, Castro was charged administratively and was meted suspensions. After serving her suspensions, she returned with a vengeance. She established strong connections with the powers that be. Mary Ann was said to have strong connections with former justice secretary Raul Gonzalez. 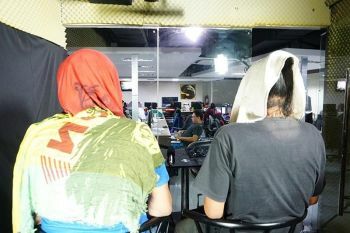 She attempted to take over the top post of the Bureau of Immigration (BI) Cebu which is under the Department of Justice. Mary Ann was also linked to police officer Adonis Dumpit, who was killed by a combined team of National Bureau of Investigation and police operatives in Tagbilaran City, Bohol last year. She was close to Ronda vice mayor John Ungab, lawyer of self-confessed druglord Kerwin Espinosa Jr. Ungab was shot dead last February. His death remained unsolved. His association with Espinosa was eyed as possible motive. In a photo before the 2016 elections, then Cebu City mayor Mike Rama swore into the United Nationalist Alliance then Albuera, Leyte mayor Rolando Espinosa, father of Kerwin. 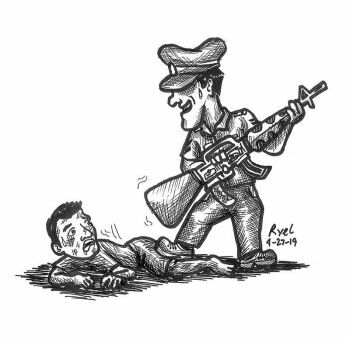 Espinosa was killed inside a jail in Baybay, Leyte by Criminal Investigation and Detection Group elements. In the photo were Rama, Espinosa, Ungab and Castro. Castro, who was a native of Clarin, Misamis Occidental, was a friend, although we were not close. Although she was sometimes the subject of my commentaries in my radio program and newspaper columns, she was always nice and charming to me. She was not onion-skinned. I am sad that she died that way. I used to call her “Fiscal Guapa” and she liked it. Adios, “Fiscal Guapa.” I hope your death will be given justice.